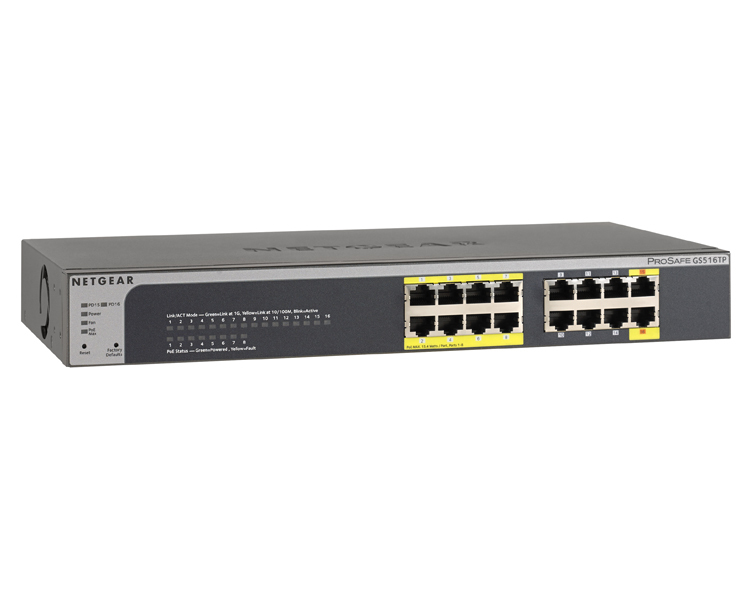 The Netgear Prosafe GS516TP 16-Port Gigabit PoE/PoE+ Smart Switch (8 Ports of PoE) offers powerful L2 and L2+ features, better PoE functions, and enhanced performance and usability. 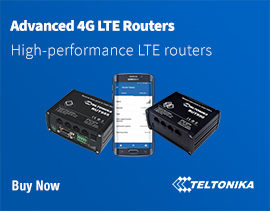 They are purposely designed for the converged networks where voice, video, data are all carried on a single network platform for network efficiency, operational cost savings, and ease of management. 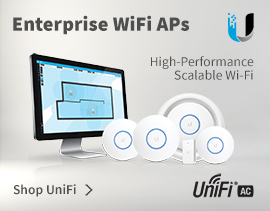 There are four products in this series, 16/28/52-port Gigabit with PoE and a 28-port Gigabit with PoE Plus. GS516TP is the Smart Switch with PoE/PD features. It can work as PD device that can get power from other PSE device through port 15 or/and port 16. Meanwhile, it can also deliver power to other PDs that are connected to its PoE ports (port 1 to 8). 4Gon - your Netgear Prosafe GS516TP 16-Port Gigabit PoE/PoE+ Smart Switch (8 Ports of PoE)[GS516TP] distributor, supplier, reseller! Get all your wifi at 4Gon! If you would like to be notified when the"Netgear Prosafe GS516TP 16-Port Gigabit PoE/PoE+ Smart Switch (8 Ports of PoE)" is re-stocked, please enter your contact details and we will notify you instantly.